Need a light meal after all the feasting last week? Here’s a quick, easy & healthy meal I put together for lunch. I call it “not a boring salad”. Fancy, right? Truly, to make a good—and filling—salad, all you really need are fresh ingredients, a few texture-enhancing toppers, and a dressing that just coats (not soaks) the ingredients. 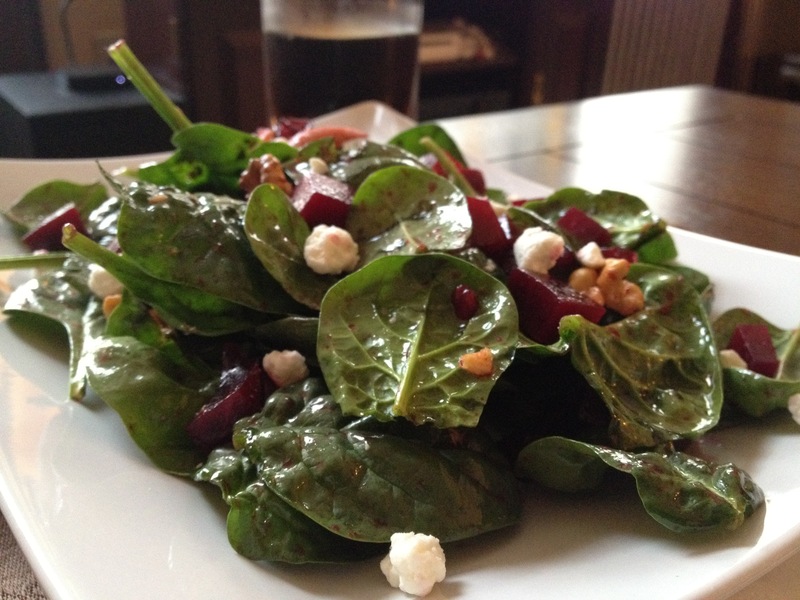 Two ingredients make up the base of this salad: baby spinach and beets. 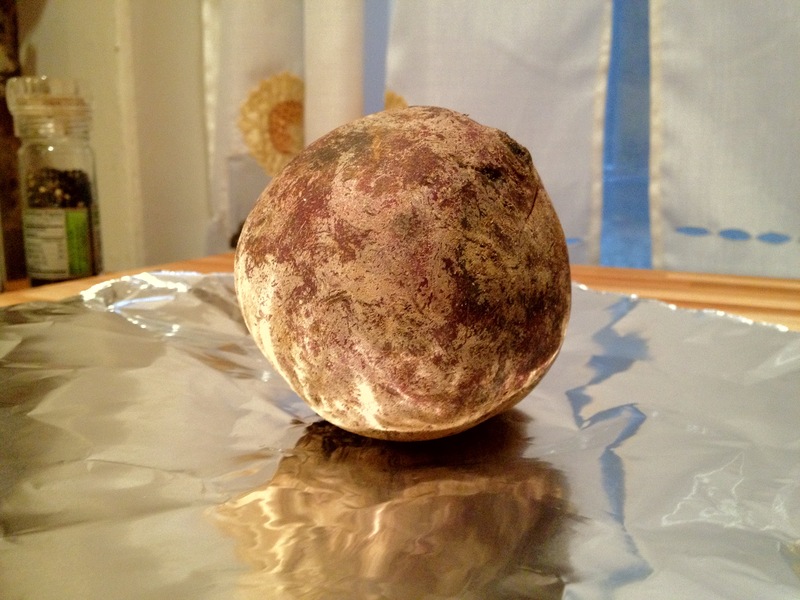 I did a lot of cooking yesterday, in the middle of cooking beans and roasting butternut squash, I cooked a giant beet. Okay, maybe not 'giant', but this one beet will last me 4 salads. Cooking beets is ridiculously easy. Turn your oven to 375, take a beet & wrap it in aluminum foil, then put it in the oven. Depending on how big the beet is, in forty five minutes to an hour you’ll have a perfectly cooked, easy to peel beet, ready for use. I actually don’t like beets unless they are cold and accompanied by goat cheese, so after mine was cooked I put it in the refrigerator. Once the beets and the spinach have met in your salad bowl, it’s time to add the punches of flavor and texture. To my mix I added toasted chopped walnuts (the crunch! ), a sprinkling of dried cranberries (the tartness! ), and a chopped dried fig (just because!). I made a vinaigrette of extra virgin olive oil and white wine vinegar (I find balsamic too overpowering for this), salt and pepper. Once the salad had been tossed and just coated with the dressing, I added the crumbled goat cheese. Voi-la: a perfect salad for one, and no guilt, either. I’ll be doing a lot of healthy cooking this week & posting recipes and notes from all my experiments. For dinner tonight I’m making escarole and bean soup, a fall & winter favorite that doubles as comfort food. Hooray! This entry was posted in Savory and tagged beets, dried cranberries, filling, goat cheese, healthy, salad, savory, spinach, vegetarian, walnuts. Bookmark the permalink.